April is Stress Awareness Month – Are your teeth suffering? 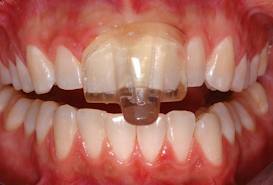 Did you know, everyone grinds or clenches their teeth during sleep? While some people don’t develop problems from this, many people do. Grinding and clenching of the teeth is a significant problem and here at Loveable Smiles we check ALL our patients for signs of it. 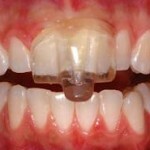 It fits over the front teeth only so the back teeth cannot touch and grind against each other at night while sleeping. 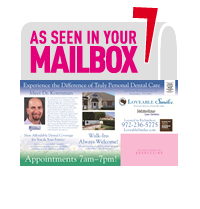 Please call Loveable Smiles at 972-231-0585 for your consultation.